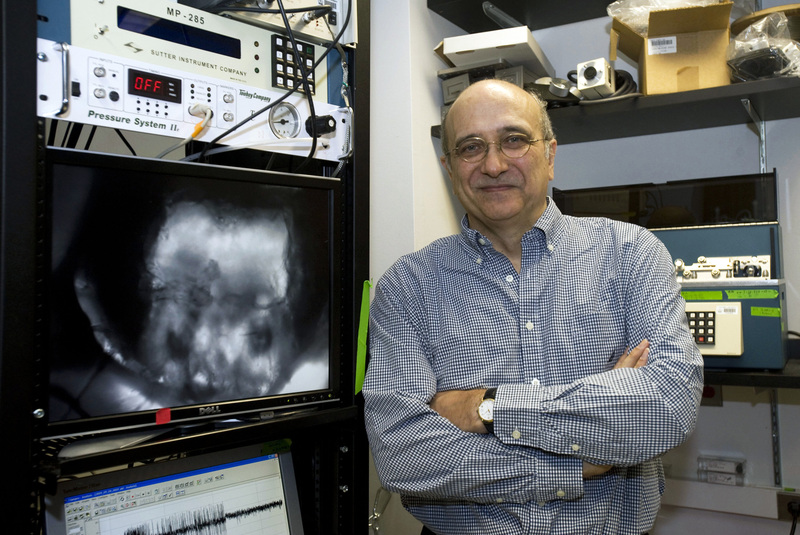 Aurel A. Lazar (Fellow, IEEE), Professor of Electrical Engineering at Columbia University. My primary research interests focus on the molecular architecture and functional logic of the brain of model organisms with a strong emphasis on the fruit fly brain. I lead research projects in Building Interactive Computing Tools for the Fruit Fly Brain Observatory, in Computing with Fruit Fly Brain Circuits and on Creating NeuroInformation Processing Machines. To gain insights into the functional logic of the fruit fly brain in health and disease, and to uncover the building blocks underlying cognition, my research group helped create a transformative open collaborative ecosystem called the Fruit Fly Brain Observatory. The Building Interactive Computing Tools for the Fruit Fly Brain Observatory project is developing the FlyBrainLab, an one-stop interactive computing platform for studying the function and biological validation of executable circuits constructed from fly brain data. The Computing with Fruit Fly Brain Circuits project explores the molecular architecture and, executable models of fly brain circuits and local processing units. Some of the main ongoing foci address the Molecular Transduction and Combinatorial Encoding in the Early Olfactory System, the Molecular Transduction and SpatioTemporal Encoding in the Early Vision System, the Functional Role of the Central Complex and Building the Functional Map of the Fruit Fly Brain. The Creating NeuroInformation Processing Machines project builds upon pioneering formal theoretical methods of neural encoding and decoding (Time Encoding Machines) and functional identification of dendritic stimulus processors and biophysical spike generators (Channel Identification Machines). My research group created and implemented Spike Processing Machines and Phase Processing Machines in the analog domain (graded potentials) and in the spike domain on clusters of GPUs. Prior to my research in computational and systems neuroscience, I spent some 20 years as PI leading a number of computer networking research groups. I covered a broad set of research topics/fields, including building major switching hardware, architecting broadband kernels for programmable networks and creating game theory models for resource allocation. I also run a networking start-up as CEO.